ARWatch > Clinical Articles > Cardio-oncology: what is the relationship between AF and cancer? Cardio-oncology: what is the relationship between AF and cancer? A major review on the relationship between atrial fibrillation (AF) and cancer has been undertaken by researchers from the University of Athens Medical School, Greece. Their report1 was published recently in the Journal of the American College of Cardiology. Given the increasing occurrence of malignancies in the elderly and the coexistence of other conditions predisposing to AF in cancer patients, the authors propose that an association between those two conditions should be expected. The occurrence of AF in cancer may be related to comorbid states or a direct tumour effect, or represent a complication of cancer surgical or medical therapy, while inflammation may be a common denominator for both conditions, they say. The authors also highlight that, on the other hand, AF confers an increased risk of cardiovascular complications, including a five-fold risk of stroke and a three-fold risk of heart failure, as well as a double mortality rate. Therefore, AF may present an additional factor affecting the prognosis of malignant diseases and a challenge for the therapeutic management of cancer patients. 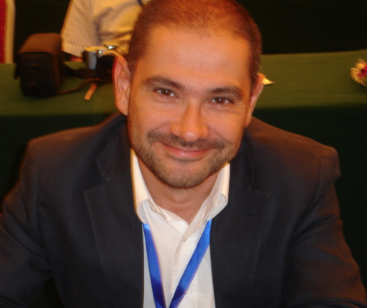 The authors, led by Dr Dimitrios Farmakis (University of Athens Medical School, Greece), stats that treating AF in patients with malignancies represents a challenge, especially in terms of antithrombotic therapy, since cancer may result to an increased risk of either thrombosis or haemorrhage and an unpredictable anticoagulation response. As well as this, thromboembolic risk-prediction scores such as CHADS2 may not be applicable, they add. “I now realise that the best approach to the issue of cardio-oncology would be that cardiologists and oncologists learn to work together. Cardiologists, on the one hand, should consider oncology patients as a new challenge for further training and development and not as an annoying workload. Medical oncologists and haematologists, on the other hand, should realise the impact that cardiovascular disease may have on their patients’ outcome and refer them to cardiologists early in the presence of a history of cardiovascular disease or cardiovascular risk factors or when they schedule them for potentially cardiotoxic therapies,” Dr Farmakis added. “This osmosis would gradually lead to the establishement of a really fruitful cardio-oncology service. Regarding AF, I don’t think that AF patients should undergo additional screening for cancer besides that indicated by their age and clinical features. On the other hand, cancer patients, particularly those with high-risk features such as advanced age or history of cardiovascular disease or cancer surgery, should regularly be screened for AF during initial diagnosis and subsequent visits,” he concluded.